When it comes to pregnancy, as women we tend to keep a close eye on our ever changing bodies. We glow, we grow, we crave. But sometimes there are other symptoms that will pop up over the course of the pregnancy that appear to be mildly annoying, but we think nothing of it. For example, an intense itch that comes on all of a sudden. Perhaps it’s those crazy pregnancy hormones again? For one Minneapolis mom of three, it became a life or death situation for her newborn. She dug so hard that she was scratching the skin right off parts of her feet, at which point she sought medical attention. Hilary was found to have Intrahepatic Cholestasis of Pregnancy, a condition that occurs during the third trimester of pregnancy. Her sister, who was studying to be a doctor at the time when Hilary was experiencing the symptoms explains ICP; “It’s a condition in the liver that blocks the flow of bile acids out of the liver and some other compounds too. That can lead to an accumulation of chemicals that can be toxic to the pregnancy.” It is most common among Latina women, as well as women of Scandinavian heritage. At least one in every one-thousand pregnant women will experience the intense itching symptom associated with ICP. It can be easily diagnosed with a blood test, and once found, mom can be treated quickly with medication, but can still pose a risk of stillbirth for the unborn child. When it was time for her to deliver her son, Lucas, he was found to have been affected by ICP. Hilary recalls the fear she felt when he arrived saying, “He was born and I remember praying ‘Please come out screaming’ and there was nothing. 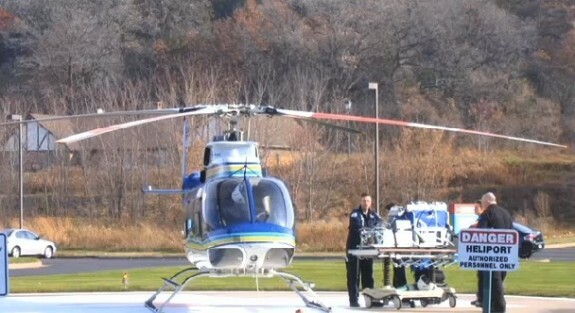 There was just silence.” The infant wasn’t breathing, and was immediately airlifted directly to a Children’s Hospital. However, the new mama was only able to catch a brief glimpse of her newborn son. Lucas was on breathing support for approximately 24 hours, after which he was able to breathe on his own. Today, Lucas is a healthy and happy two year-old little boy, despite his brush with ICP. Now Hilary wants to warn other mothers about ICP and be aware of it’s symptoms.